Arrests made at Elland Road on match days are set to decline for the second season running, with the cost of policing also set to decrease. Just 61 arrests were recorded at Elland Road last season. Significantly lower than the 2012/13 season where 104 fans were detained over the year. The cost of policing at Elland Road has also decreased over the previous four years. The 2011/12 season saw Leeds United pay West Yorkshire Police £1,062,700 in comparison to the £209,600 this season, with just seven home fixtures remaining. The West Yorkshire side argued that policing the streets and car parks is in fact the force’s responsibility as opposed to the Championship club. In 2014, Leeds United claimed that the West Yorkshire Police still owed the club £800,000 for overcharging policing at home games. Earlier in the month, Millwall fans travelled to Elland Road for the fixture against Leeds United, which passed without any major trouble. Leeds United fans have argued they are always singled out by police and opposing fans as the bad boys of football, wherever they watch football. Leeds vs Millwall has always been known as the fixture that is liklely to cause the most disruption on matchdays. As a result, West Yorkshire Police placed a restriction on the amount of away fans they could let into Elland Road, offering just 200 tickets to Millwall FC, of which 60 fans turned up. The measures that were put in place meant that visiting Millwall fans had to report to a service station on the motorway, whilst being filmed by police. “Millwall have caused a lot of trouble in the past,” added Leeds United fan, Gavan. “If I was a Millwall fan, I’d have been livid at the ticket allocation we were given. “Yes, they are troublemakers. However, to make them have to pick up their tickets from a service station is ludicrous. In an outburst after Millwall’s 1-0 defeat to Leeds, Ian Holloway told reporters: “It’s only when we play Leeds, we don’t get it anywhere else. It’s not an issue anywhere else. A derby which offers choreographies, pyrotechnics and intense atmosphere, welcome to the Derby de Lisboa, between Sporting Clube de Portugal and Sport Lisboa e Benfica. There may be just three kilometres between Sporting CP’s Estadio de Alvalade and SL Benfica’s Estadio da Luz, but the Primeira Liga is closer than ever this season. Sunday’s Derby de Lisboa is the 294th meeting between the two sides, and with just seven points separating Benfica in first, and Sporting in third, the race for the title is as close as ever. Sporting’s last league title came over a decade ago, winning the Primeira Liga in the 2001-02 season. Whilst Benfica have won the league three times since Sporting last secured a Championship. Benfica have also had the better of the derby meetings down the years, winning 128 of them, whilst also having more title wins than their counterparts. Having formed in 1904 by two smaller clubs, one with an Eagle badge, and the other with a pitch, Benfica was then born. The club, then led by club captain, Anglophile Cosme Damiao insisted that only Portuguese players featured for the Eagles. Half the members left two years later to form the club, Sporting, under a local landowner, Viscount of Alvalade. A rivalry was then born in 1907, Sporting had eight former Benfica players in their squad, beating their rivals 2-1 on a rainy day in Lisbon. A year later, Sporting won yet again, only this game had an atmosphere with violence and intimidation. After losing 1-0 away to their rivals, Benfica in 2011, the Sporting Ultras, Juventude Leonina 1976 set fire to the Estadio da Luz, taking their loss to the next extreme. The Juventude Leonina 1976 are the oldest fan club of Sporting Clube de Portugal, founded in 1976. The Sporting ultras are also the oldest, official fan club in Portugal. JuveLeo76: “is a family that is united by one love,” said Ana Margarida. Located in the south stand, JuveLeo76 can be found with choreographies and often colourful pyrotechnics leading up to the kick-off, and Sunday’s derby will be no different. Italian Gladiator Francesco Totti celebrated his equalising brace by taking a selfie with Roma’s Curva Sud in the Derby della Capitale. After going two goals down after half-an-hour to Stefano Mauri and Felipe Anderson, Totti turned the game around just after the break before smashing home an equaliser after 64 minutes. The 38-year old will go beside the names of Alessandro Del Piero and Roberto Baggio in the Serie A record books when the veteran retires from football. “Footballers often get criticised for taking selfies on the pitch,” said Roma follower, Josh Lawless. “Personally, I thought it was excellent. I would have probably done the same thing. The question remains however – Is Totti the coolest footballer ever? However, Totti is not the first sportsman to take a selfie. Lukas Podolski, on loan at Inter Milan from Arsenal took a selfie with Arsenal fans in the North London derby against Tottenham Hotspur. The result means Roma remain behind Champions Juventus in second place on goal difference. 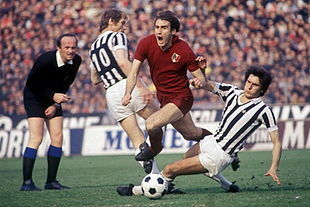 A won would have taken the Giallorossi above the Turin club. Totti made his debut for Roma in 1992, having been at the club from the start of his professional career in 1989. The talisman has found the back of the net on 239 occasions in 573 games for Roma. The Italian has also played 58 games for Azzurri. Totti has 28 honours to his name, including five Italian Footballer of the Year awards. The game was perhaps overshadowed by what happened in Paris just a week earlier. Roma manager, Rudi Garcia placed pencils on the chair of every journalist attend the derby, prior to kick-off, as a mark of respect. Forget the El Clasico derby between two of Spain’s most successful clubs, Real Madrid and Barcelona. 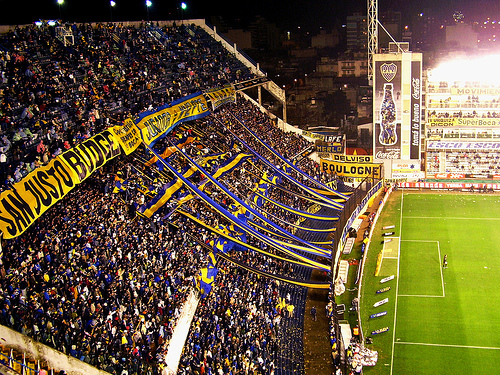 The fixture which offers most passion is in the south, and it never disappoints. The Derbi Sevillano is between two clubs, Sevilla Fútbol Club, S.A.D and Real Betis Balompié, S.A.D. The Derbi Sevillano has been described as the most intense of the city rivalries. Dating back to the early 1900’s. Both clubs started off as Seville FC in 1905 before splitting in 1914 to form Betis Football Club. Betis, then merged with another club in the area, Sevilla Balompié which created Real Betis Balompié. As many inter-city rivalries, these two teams also had a class divide. Betis were the working class whilst Sevilla supporters often had a much higher income. The population of Seville is divided into two categories: Sevillistas (Sevilla) and Béticos (Real Betis Balompié supporters). Real Betis’ Ultra group, Supporters Gol Sur (SGS) are notorious for their questionable attitude. In 2013, Nosa Igiebor, a midfielder for the club received racial abuse from a small section of the home fans. After scoring a last minute equaliser against Sevilla, the Nigerian aimed a middle-finger gesture towards Real Betis fans. Following the match, he tweeted: “I want to apologise to the fans for a gesture that was not aimed at them. Sevilla’s Ultras are known as the Biris Norte, named after a former Gambian footballer, Biri-Biri. Although they too have had plenty of bad press over the years, they are the exact opposite in terms of political and racial views. The racial remarks weren’t the only incident to take place in the Derbi Sevillano. During a match in 2002 played at Sevilla’s Ramón Sánchez Pizjuán, a supporter ran on to the pitch and attacked then Betis goalkeeper, Antoni Prats. Despite emerging unharmed from the incident, the city’s image did not. Sevilla fans can often be heard chanting: “Sevilla arriba, comiendo chucherías! Betis abajo, comiendo escarabajos y escupitajos!” (Sevilla on top, eating sweets! Betis on the bottom, eating beetles and gobs of spit!). In retaliation to the incident involving a Sevilla fan and Prats, during a Copa del Rey tie in 2007, Sevilla manager Juande Ramos was struck with a water bottle from opposing fans – causing the quarter-final tie to be postponed. Journalist, Sid Lowe stated that this was ‘not an isolated incident’. Following the postponement, the Betis president, José Leon made his way to the press room to read out a statement: “The board of directors, the coaching staff and players of Real Betis Balompié,” he announced, “wish to express their sadness at the one-off isolated incident that has brought about the suspension of this Copa del Rey quarter-final,” to which Lowe disagreed. However, like many derbies, it wasn’t the only attack during that game. Missiles were thrown at players in the same match, as well as managers, linesmen and referees and still nothing gets done. The fines dished out are pathetic, culprits are left unidentified and therefore cannot be banned from grounds. The very same game, Dani Alves had already been hit with another bottle and Sevilla president, Jose Maria Del Nido had been hit on the nose with a coin whilst taking his seat in the director’s box. 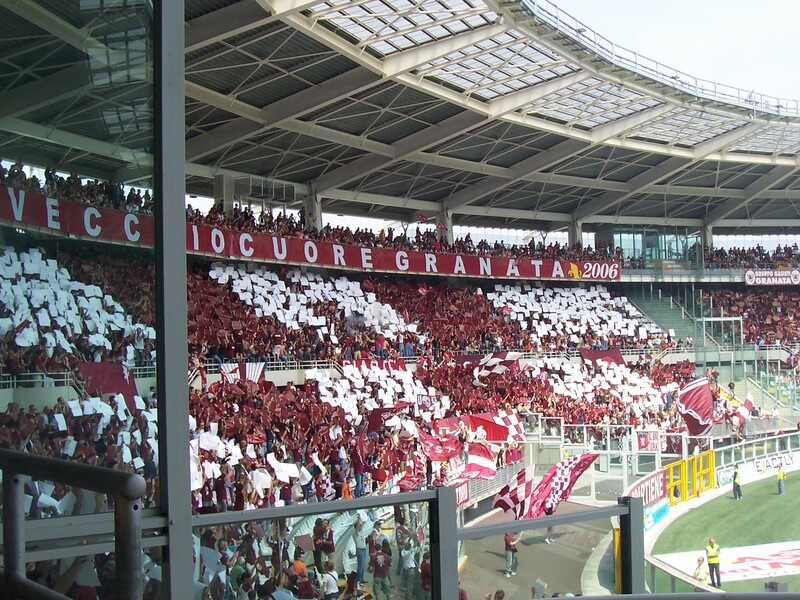 The build-up on matchdays, whilst intimidating, usually pass without any major interruptions. Sevilla supporter, Ryan Benson said: “This is a pure local derby and it’s all about bragging rights. The city comes to a standstill during the match. Following the passing of Sevilla defender, Antonio Puerta in 2007, the city united as one and showed the footballing world that it wasn’t all violence. Both clubs have strong family connections and often joke around with each other until the next derby. Fans of clubs would often sign up their unborn children for club memberships and taxi drivers who support one team have often refused fares that require them to drive them to the other club’s stadium. When primary school kids play football during their lunch hour, they would split their teams to who support Sevilla and Real Betis. Neither side have dominated La Liga in the past decade however, both sides do have major trophies to their name. Sevilla last won the league in the 1950’s whilst they won the Copa del Rey in the 2009-10 season. Real Betis on the other hand only have one La Liga triumph to their name. However, Betis were a dominant club in their early formation, and have since pushed for a place in European until their downfall in the previous decade. Sevilla have also enjoyed success in the Europa League of late, winning it in 2006, 2007 and 2014. Last season they played Real Betis in the last-16 on their run to the final. Having gone 2-0 down in the first leg, Los Rojiblancos pulled it back to 2-2 on aggregate in the second, taking the tie to penalties. Ivan Rakitic stepped up to take the penalty for Sevilla, meaning Nono had to score to keep Betis in the tie. It was however heartache for the Betis supporters as they saw their team crash out of the Europa League. The poor season also continued for Betis as they were relegated from the Spanish top flight. Rolando Aarons has netted two goals this season. Newcastle United have been dealt a huge injury blow ahead of the Tyne-Wear Derby match against Sunderland. Rolando Aarons has suffered an injury setback that will see the youngster miss tomorrow’s Capital One Cup quarter-final tie against Tottenham Hotspur and Sunday’s derby against Sunderland. The 19-year old has been sidelined since early last month with a hamstring injury, and is yet to return to full fitness. Newcastle United manager Alan Pardew had hoped Aarons would be back in time for the cup game tomorrow. However, the England Under-20 international is expected to miss a further two weeks. Aarons made his way on the scene during pre-season after signing his professional contract last year. The winger has made three started twice for the Magpies, whilst making a substitute in the Premier League on three occasions, netting against Crystal Palace and Manchester City. Police chiefs have announced plans to reduce policing in the Tyne-Wear derby between Newcastle United and Sunderland on Sunday. The two sets off fans will be able to mix before the match after Northumbria Police have said that Sunderland supporters will not be escorted from Central Station. The tense rivalry between the Toon army and their rivals has always meant there has been a heavy police presence when the two teams meet. Police are encouraging Sunderland supporters to make use of the free coaches from the Stadium of Light, or to use designated trains. Despite history between the two sets of fans, Chief Supt Neill told Chronicle Live: “My message to the fans is this – It’s your derby. These are always fantastic occasions and it’s going to be even more so this year. Relationships between Newcastle United and Sunderland fans seem to have improved after Sunderland supporters raised over £20,000 in memory of John Alder and Liam Sweeney, two Newcastle fans who were killed in the MH17 crash. However, the 2013 Tyne-Wear derby will be remembered for the wrong reasons after a police horse was attacked by a Newcastle supporter when violence erupted outside St James’ Park after a defeat to their rivals, Sunderland. “The fans want the passion of the derby but some of the things that have happened in previous years now need to be consigned to history. The disorder of 2013 reflected badly on everybody concerned,” said Chief Supt Neill. The two sides meet on 21 December 2014 in a 1:30pm kick off.